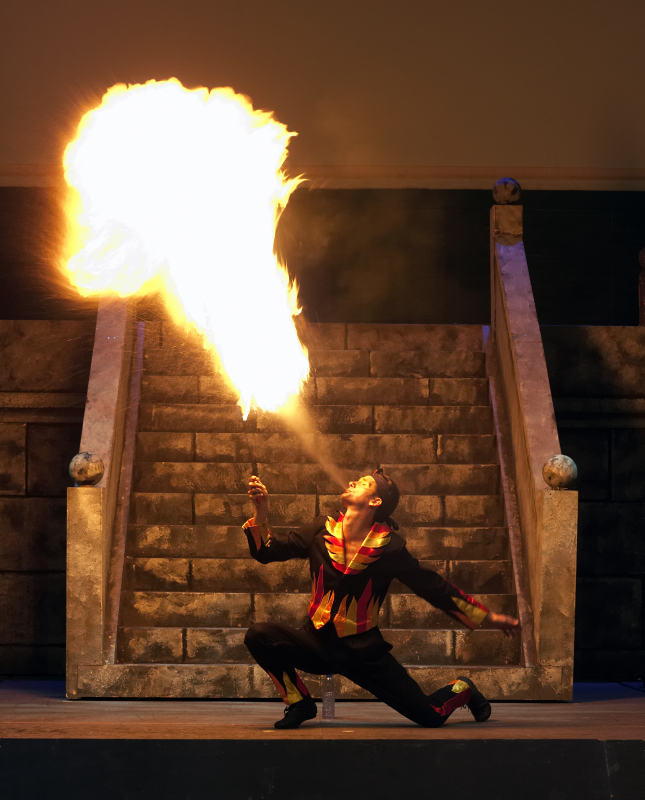 The hottest interactive show in Hong Kong and Macau ! 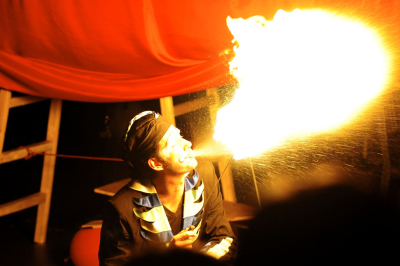 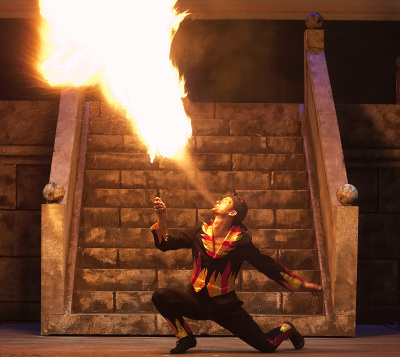 Displaying incredible skills to play with fire, this show also features comedy and interaction with one guest volunteer. 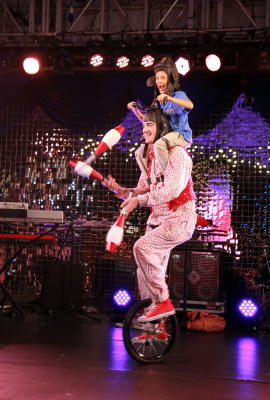 Sure to get the laughter and the WOW factor. 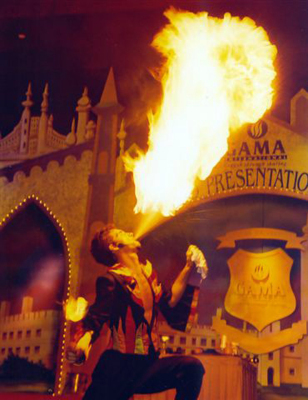 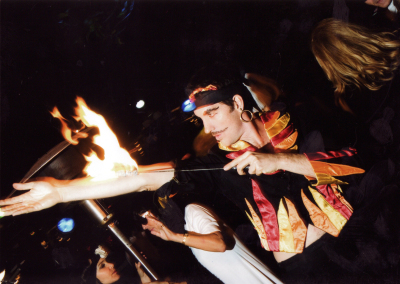 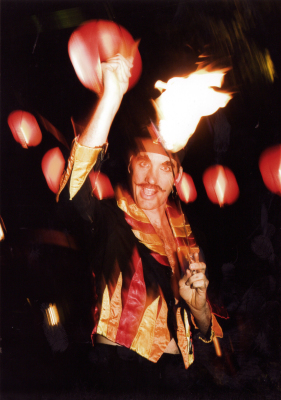 The show is very safe and can be adapted to the venue: from fire eating flames only (small version) to interactive fire juggling (medium version), to blowing huge flames (big version). 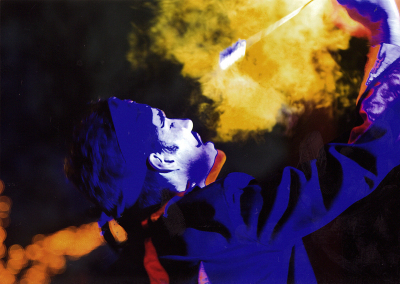 Not suitable for windy environments. 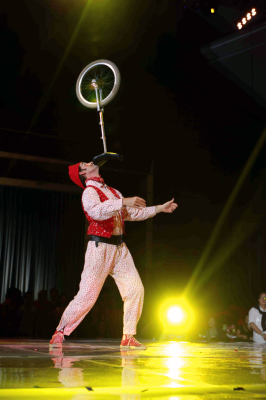 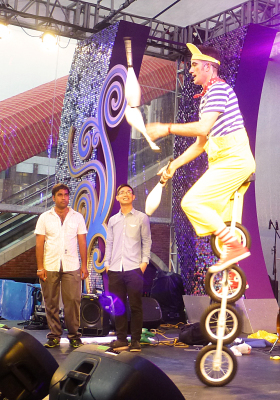 An interactive comedy act featuring unicycle, juggling and rope walking. 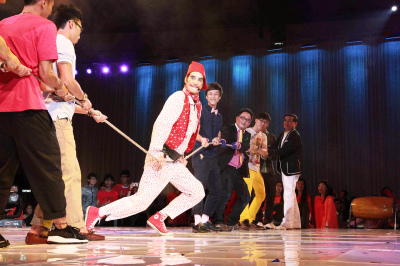 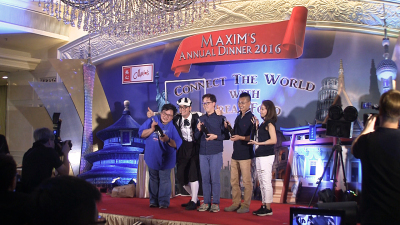 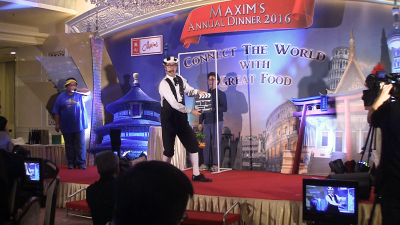 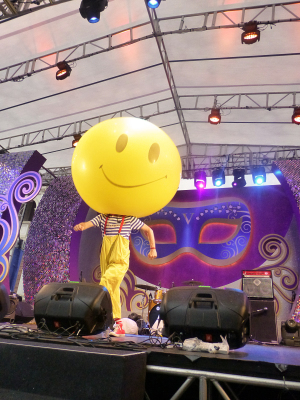 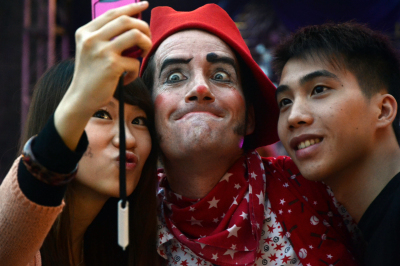 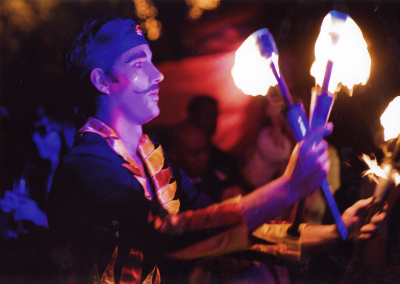 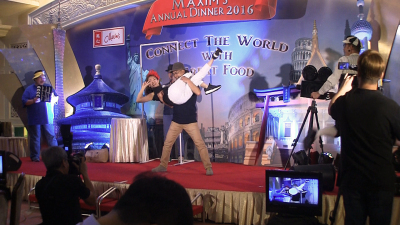 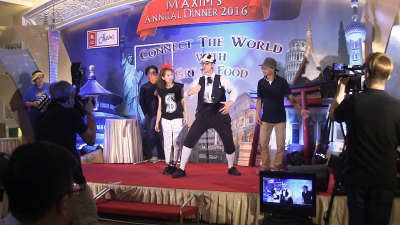 This act will energize and entertain any gala dinner in Hong Kong or Macau. 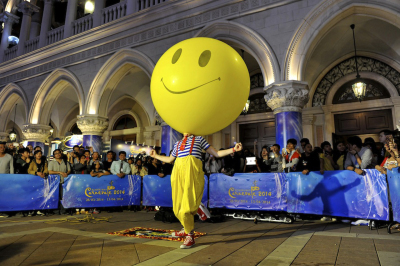 It also works well outdoor and in public space environment. 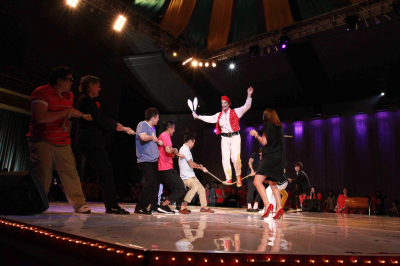 The show requires enough space for the rope to be pulled by eight male volunteers from the audience. 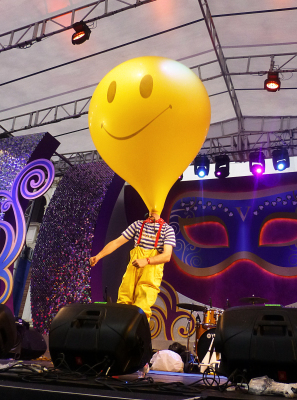 This show will for sure get your audience smiling and shooting lots of pictures ! It is not often that one can record a big yellow smiley face jumping up and down! 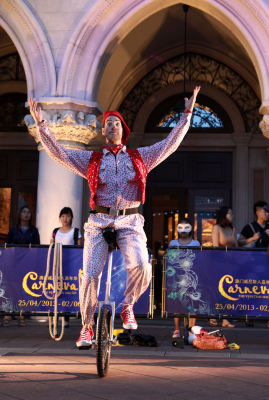 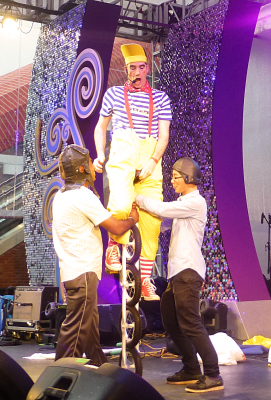 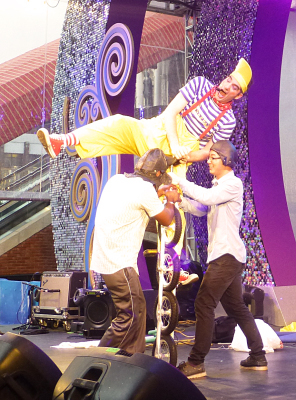 This show also features the four wheels unicycle and guest interaction that are unique in Hong Kong and Macau. 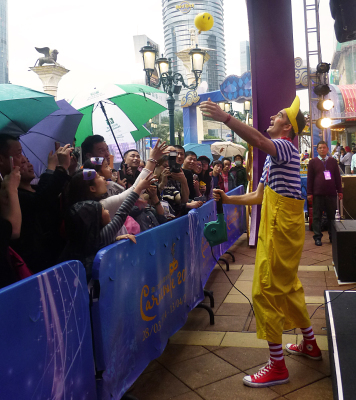 A NEW show on Hong Kong and Macau stages ! 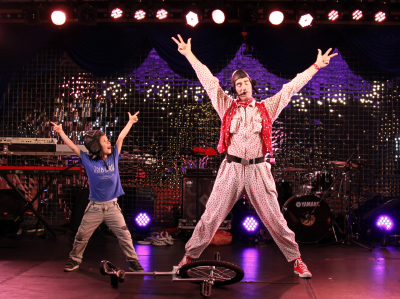 Purely based on interaction and improvisation, this show involves four members of the audience who will perform as improvised actors in a silly silent movie shooting. 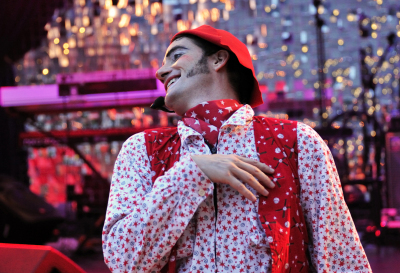 The set and the costumes can be adapted to fit the theme of the event.